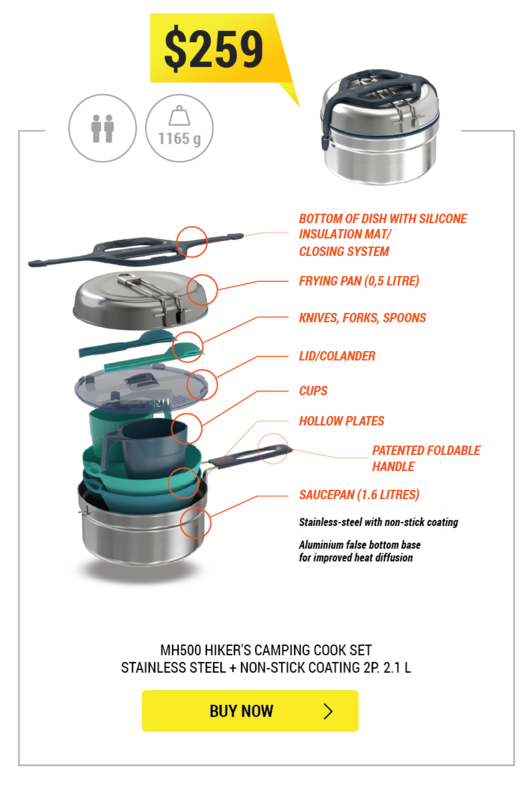 Choosing proper cookware is the key to make your favourite food at the campsite. Made of resistant stainless steel with a double aluminium bottom for efficient heating, the MH500 Non-stick Cook Set is the one that you can trust. 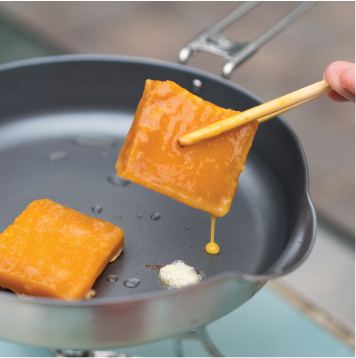 The non-stick coating promises easy cooking and maintenance. We chose 18/8 (304) stainless steel because it combines food safety and long-term resistance.  It does not oxidise and prevents corrosion. 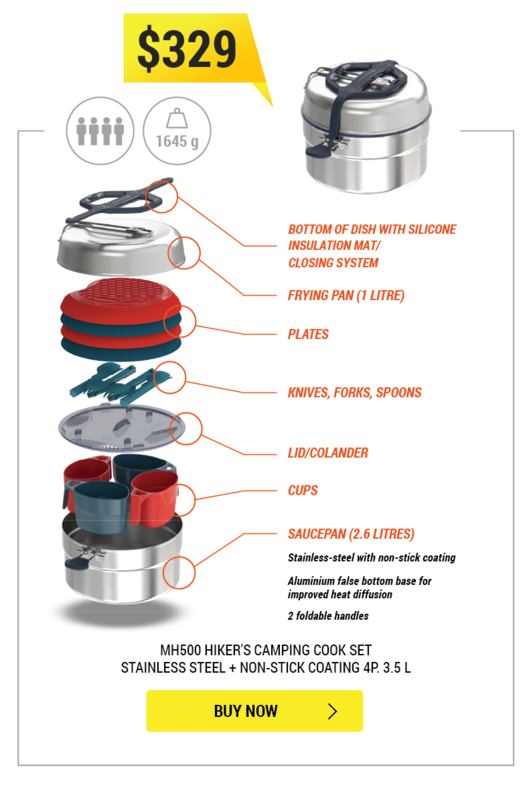 We have integrated a double aluminium bottom under the saucepans and frying pans of the MH500 range. Providing optimal heat diffusion and heating efficiency, the material reduces the amount of gas required for cooking. We chose a PTFE Xylan + coating from the Whitford brand because it provides a good anti-adhesive and price balance. This coating does not contain PFOA-based adhesives and does not present any health risks if ingested. As with all coatings, be careful not to use metal cutlery or utensils as they may damage the coatings. Our Camping Sports Leader tested this MH500 Non-stick Cook Set in the field by making the traditional Chinese rice cake. 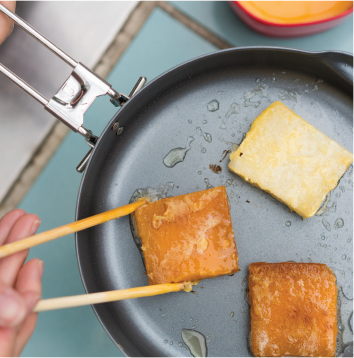 Thanks to the non-stick coating, we managed to make beautiful rice cake with just a few drops of oil, despite its notorious stickiness and difficulty of frying. Before the first use, rinse all the components 3 times with clean water. After use, wash with soapy (preferably hot) water and dry before storing them in a dry place. 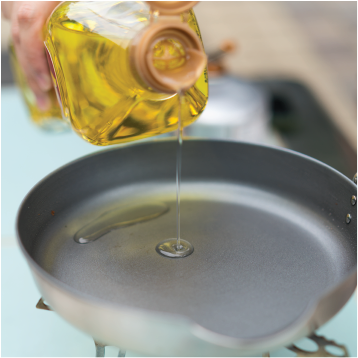 Though all components are dishwasher safe, it is advisable to wash the saucepans and frying pans by hand to preserve the coating. Also avoid using abrasive sponges or sand when cleaning the interior of the utensils. 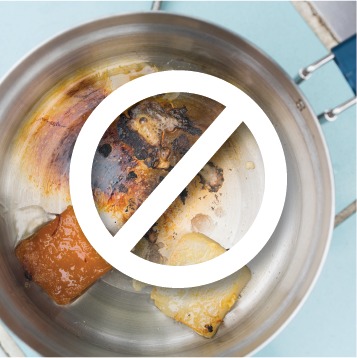 Never heat empty saucepans or frying pans to prevent damages.